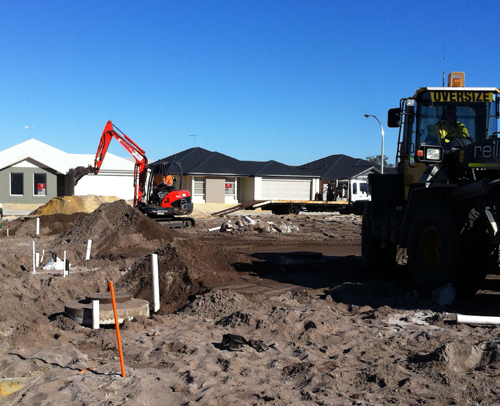 Commercial Stormwater Projects, Perth WA. All About Soakwells is involved in the installation of stormwater drainage solutions for commercial and civil construction companies. We also specialise in adding soakwells to existing areas in factories and shopping centres as well as designing new drainage systems. 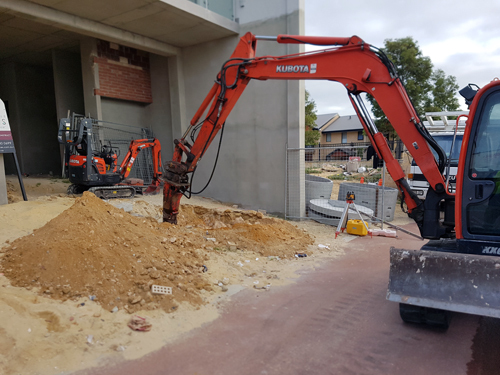 We have all the equipment needed to do the job properly and safely, from concrete cutting, rock breaking and the right sized excavator for the job, to compaction, resurfacing and spoil disposal. Design and installation of stormwater systems for commercial construction. For more information on how we can assist you with your project please contact us anytime by phone or email. All About Soakwells is a Perth based Western Australian (WA) business that can supply and install stormwater drainage solutions that meet council regulations. We offer two products (concrete and polypropylene), each with advantages for different situations. All About Soakwells can supply all types of soakwells, trafficable and non-trafficable, as well as grated lids for driveways to most locations in the Perth Metro area depending on your requirements. We pride ourselves on being excellent communicators and always add our own markup to your exisitng plans to ensure there are no discrepencies when providing custom solutions.